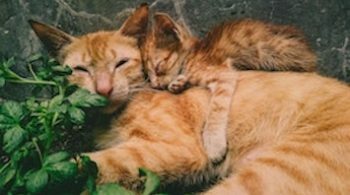 Pruritus in cats is on the rise. It’s an unpleasant condition for anyone, with the constant and irritating itch demanding to be scratched. The scratching alleviates it to some extent, but returns quickly, so the scratching is repeated, until sores or broken skin appears. Now the scratching is painful, too, but still the itch demands attention. 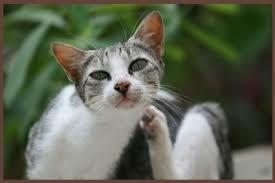 Cats scratching themselves raw, but with no evidence of fleas, is an allergy. The common areas can be a rash on the neck, on the back or on the tummy and inner back legs. Why is this happening? Why is it becoming more common now? The function of vaccines is to stimulate the immune system. The trouble is, the stimulation is very often too much. It puts the immune system into a constant state of hyper alertness. Any tiny stimulation creates an over-the-top reaction. This is what allergies are all about – the immune system over reacting. A normal immune system is mostly operating in at a latent level. It is alert enough to leap in action should it be necessary, but this is not happening often. Or is only happening often at a low level. Repeated vaccines tend to exacerbate this condition, with each new stimulation. 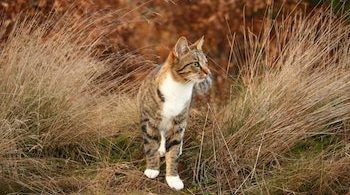 What can you do to alleviate your cat’s skin allergies? Or any allergy? It isn’t currently fashionable, to talk about the immune system. It’s more common to talk about curing a condition without looking at the cause. Topical treatment is common on skin conditions. second, involving the immune system. Topical treatment will never address these, even if it does provide some temporary respite. The immune system works just perfectly in the right circumstances. It is meant to. That was its design. So what are the right circumstances? The right diet for the species is critical. Good environmental and living conditions. A lack of stress, at least on-going stress. The diet that most cats are given is all wrong for the species. 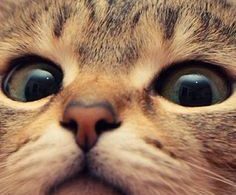 Commercial cat food is low in the right protein for cats, low in quality food, low in natural enzymes, is out of natural balance and is high in chemical additives. Much of the food has been processed, which will always have an adverse reaction in the consumer. 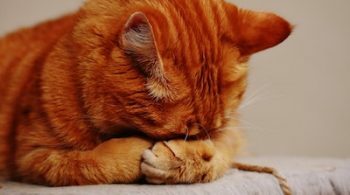 So, to start the natural resolution of pruritus in cats, begins with the right diet. In time, this may address the problem enough to keep both your cat and you reasonably happy. But it may flare up with the next vaccine. But for some, the natural treatment of health such as homeopathy, may be the only way to put the condition to rest permanently.